UAW Black Lake Golf Club – Sidock Group Inc. 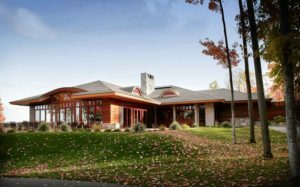 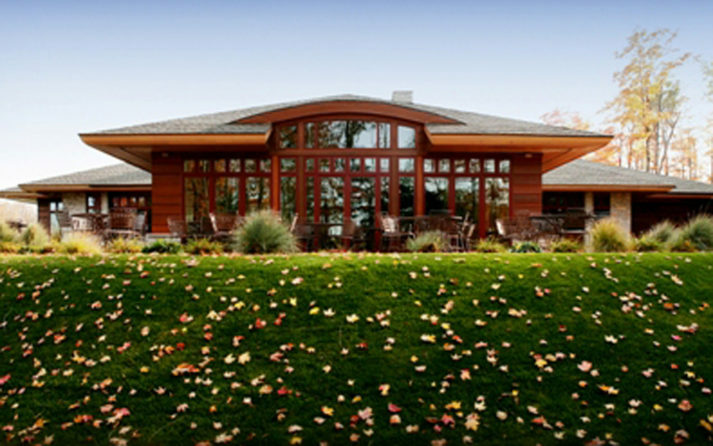 This clubhouse features deep overhangs; a low-slung, hip roof; strong horizontal lines; and natural materials. 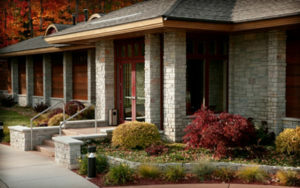 On the exterior, redwood siding and horizontal bands are complimented by Fond du Lac stone, cedar trim, and red windows. 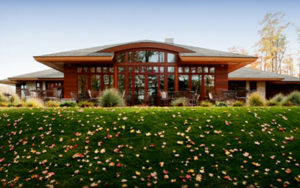 Natural light enters the building through skylights at the ridge and the large expanses of glass offer stunning views of the course from all areas of the clubhouse.